This is so simple and easy! SO good too!!!! Gluten-Free seafood dishes are amazing. The Cold Sesame Peanut Zoodles were a hit as well and you can find the recipe here. 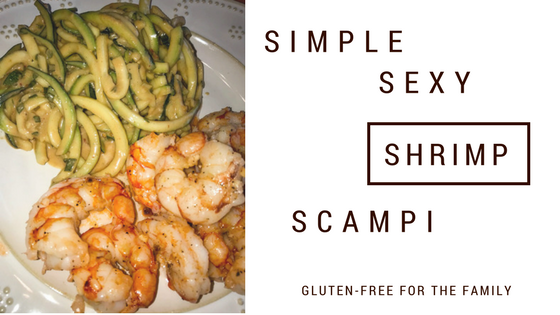 Toss the shrimp in a bowl with the olive oil, melted butter, garlic, salt, and pepper; set aside for 10 minutes. Arrange the shrimp in a circular pattern in a round casserole dish.